Deal or No Deal is a game show format loved all around the world. So there was little surprise that this game-of-chance would eventually become a popular slot game. 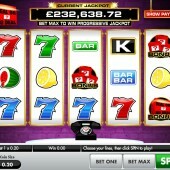 In 2006 the UK-based company Gamesys developed Deal or No Deal slot, which has gone on to become a huge hit. This slot has three recognizable bonuses during play, which mainly involve an element of choosing boxes or accepting offers from the Banker. 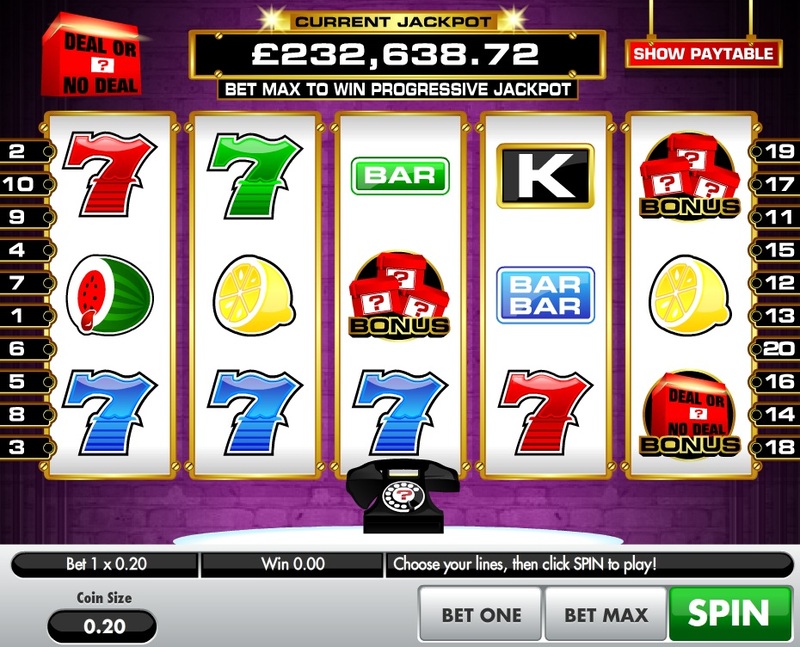 The main one is the Deal or No Deal Bonus game, which is triggered by landing three or more Deal or No Deal bonus symbols anywhere on screen. You then go through to a screen with 22 boxes and you get to pick boxes to reveal their values. You will get offers from the Banker as you progress, but you can continue to the last two boxes if you wish. You will then have to pick one last box and hope for the best! There is a Mystery Box Bonus, triggered in the same way as the bonus above. The only difference is you need the Mystery Box symbol to appear in three positions on screen. You then pick boxes that sit in the reel positions and you will either get a 'cash win', 'win all' or a 'game over'. The last bonus is a very simple one which involves the phone at the front of the screen. If it rings then the banker will offer you a cash amount or you can take whatever you win from a free re-spin. It is probably the smallest of the bonuses, with no more than 5-10x your stake normally offered. In my opinion Deal or No Deal slot is a game for the casual player. The bonus games can take an age to play through and normally for very small rewards. You may consider playing it if you like jackpots as there is a progressive linked to this slot which can climb to over 1 million pounds. Deal or No Deal follows a very similar model to other Gamesys slots, such as the cute and cuddly Chuzzle or the puzzle-themed Bejeweled 2. These are games I struggle to get into, but they are certainly popular with many players today.